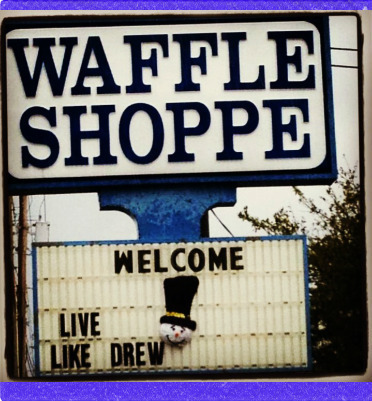 One of Drew's trademarks was his passion for performing random acts of kindness every chance he could. As Drew's 27th birthday approached (his 1st since being called home to Heaven), we were brainstorming ways to honor and celebrate his memory. His wife, Allison, had the great idea to issue a challenge to all of our friends and family to pray about and perform random acts of kindness on Drew's birthday in his honor. The response was absolutely overwhelming! An entire community of people, many more than the expected group of family and close friends, spent the day being a blessing to others. For the next few days stories began to pour in of people buying meals for others in the drive-through behind them, donating to local charities or families in need, doing yardwork for those who aren't able to, and so many more great stories like these. The love and compassion that was shown that day was one of the most unbelievable reflections of Christ and has now become the influence behind starting this foundation. We believe we have been called to impact our world by continuing Drew's legacy of Christ-like love, friendship, and an ever-helping hand. 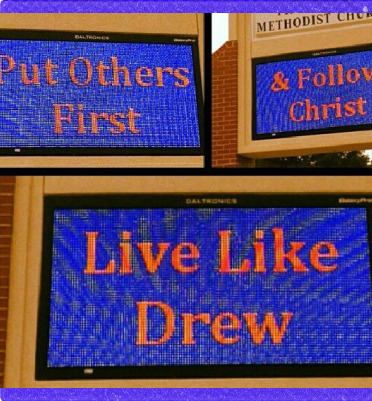 So please join us in "living like Drew" and in turn, spreading Christ's love to others!